« From Moth-athons to ‘Frack-athons’ & the Peak District Hen Harrier Day …. Well, at long last it’s in print! 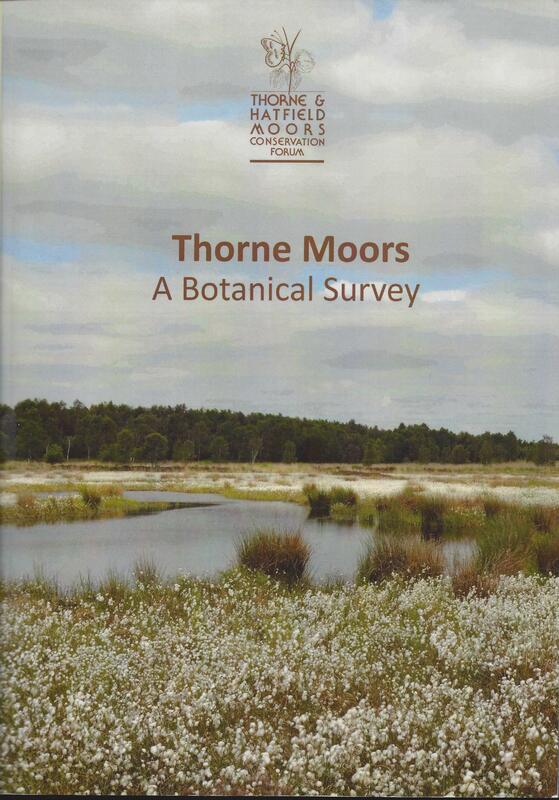 The first ever checklist of the botanical interest of Thorne Moors. To Ian McDonald who initiated the project well done, to Paul Buckland as Editor a massive thank you for seeing it through the process and into print! Many have extended blood, sweat and in all probibility a few tears over this mammoth undertaking but it is now to others to judge ‘a book not by its cover but its content’? A considerable tome, some 265 pages many in colour with some superb photographs of the flora (including the bryophytes) and habitats found on Thorne Moors NNR — a bargain at only a tenner! That price is thanks to financial support from JBA Trust and Natural England and the Forum Executive deciding to make this publication more readily accessible to students, researchers and local community at an affordable price. Copies can be obtained by sending a cheque made payable to Thorne & Hatfield Moors Conservation Forum for either £15.75 (first class post) or £14.10 (second class post) to Thorne & Hatfield Moors Conservation Forum (TMABS) PO Box 879, Thorne, Doncaster, DN8 5WU. Copies will be sent in Mail Lite padded bags through the Royal Mail small parcel system. We will acknowledge receipt of orders & payment and upon diaptch will obtain a proof of postage, if potential purchasers require a ‘signed for’ or ‘special delivery’ service then please contact execsec@thmcf.org to make the necessary arrangements. Regular readers of the blog will be aware that the Forum submitted a FoI request in respect of the Danvm Drainage Commissioners. To update readers that Doncaster MBC has acknowledged receipt of our request for a copy of the DDC Audit Report. Interestingly the notification asks you to update the status of the enquiry to indicate if the response contained useful information. The reply was an acknowledgement of the enquiry, certainly not what we’d describe as a response, that will come in due course or more precisely “within 20 working days and in any case by the 15th August 2014”. Readers can subscribe via WhatDoTheyKnow and follow the enquiry and already we have one such follower. This entry was posted on July 29, 2014 at 10:09 pm and is filed under Executive Secretary. You can follow any responses to this entry through the RSS 2.0 feed. Both comments and pings are currently closed.